Mobile carts that save you time. Open frame is easy to clean. 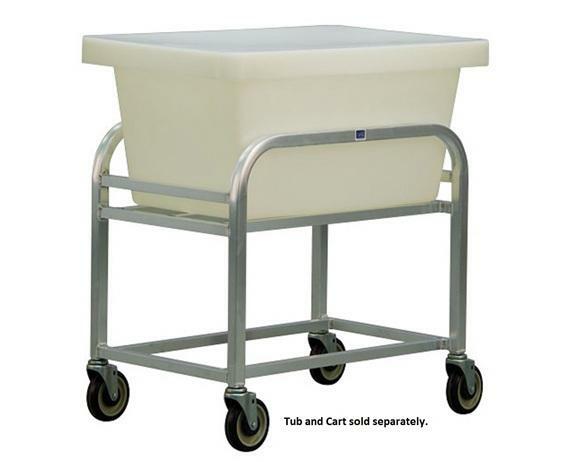 Carts are constructed of 1-1/4 x 1-1/4 x .070” wall tubing and come with four 5 x 1-3/8” stem type polyurethane swivel casters. 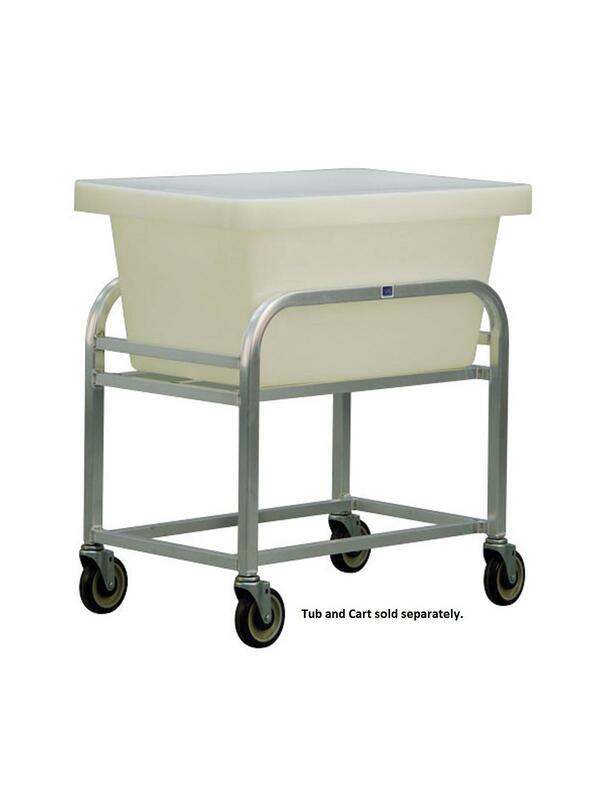 FDA approved seamless polyethylene tubs and lids sold separately. FOB Shipping Point. Photo shown with optional tub. See Related Items tab for Bulk Tub Carts - Tubs and Lids. Lifetime guarantee against rust and corrosion and a five-year guarantee against workmanship and material defects. 33-1/2 x 22-1/4 x 23-1/2"33-1/2 22-1/4 23-1/2"